We are assisting Umbwi Secondary School to find funds to build a dormitory for girls. Umbwi is a mixed boarding school. It was originally a boys' boarding school but in 1999 began to take girls. With the national emphasis on girls' education, numbers have grown. There are now 240 girls and 300 boys at the school. The number of girls could increase to 300 or more if accommodation was available. The school has a good academic reputation and pupils obtain good results in the national exam at the end of secondary schooling. Several go on to further education, which is very limited and difficult to access in Malawi. In 1999 there was a boys' dormitory but not one for girls. 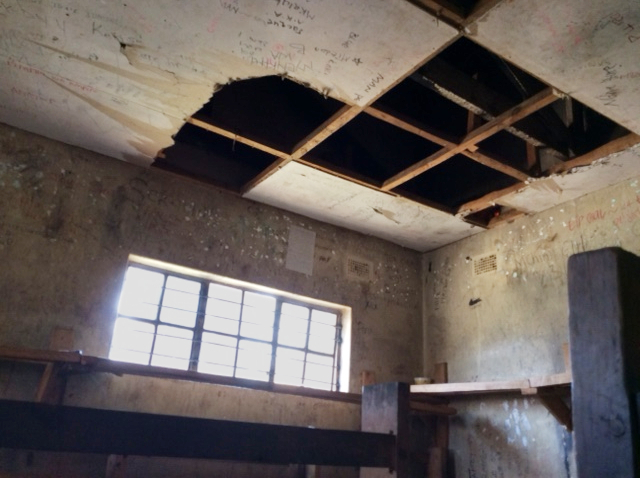 The school was forced to use an old hostel that was built to house migrant workers before they were sent to the mines in Zambia. The main problem is overcrowding. 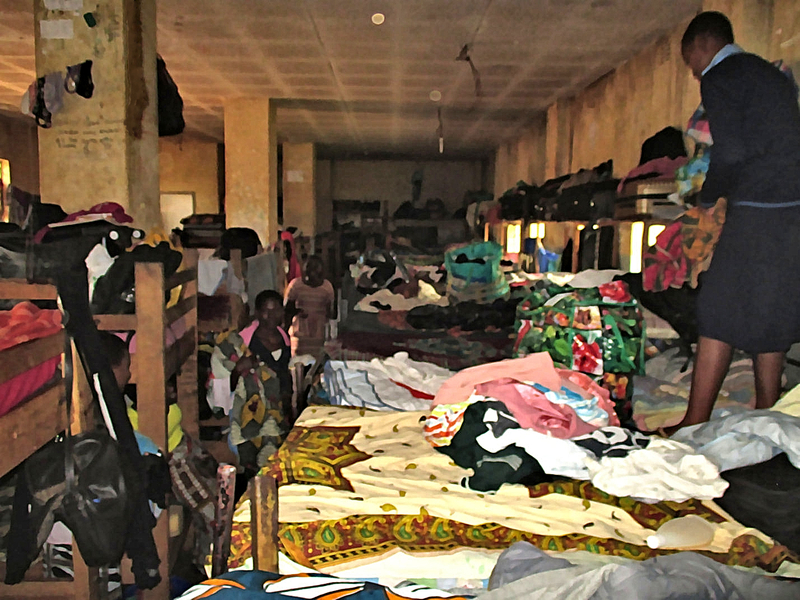 There are 240 girls in 260 square metres of floor space. The bunk beds are pulled into pairs and the girls sleep four across the two mattresses. Mattresses and beds are in poor condition. The girls bring their own sheets and blankets. There is no storage space, only a shelf along the walls. The toilets are in poor condition. There are four open-air concrete sinks with a water supply for washing clothes and general use. The ten shower cubicles have no water supply. The girls draw a bucket of water from the sinks and take this to a cubicle to use for a shower wash. The girls get meals at the dining hall at the school. They have to carry a plate and mug along with their books during the day. They can stay at the school to study until 8.30 in the evening. The hostel is one kilometre from the school and girls have to walk back along an unlit residential dirt road. The new dormitories would be built at the edge of the school campus. The building would be based on a standard design for school dormitories. This provides for two wings, each with partitioned areas with four beds and interior toilets and showers, including facilities for disabled students. The wings are joined by a covered area for washing and drying clothes. For Umbwi School, there would be two buildings, each with 20 bed areas sleeping 160. There would be 16 interior toilets and showers. An estimate of the cost is £110,000. The dormitories could be built in two phases. This would allow some of the students to be moved from the present building which would relieve the overcrowding. The minimum total required now is therefore £55,000. A similar amount would be needed to complete the project. The Malawi Government and Dedza District Council cannot help because of lack of funds. The only alternative for the school is to seek outside funding. Umbwi School is seeking contributions from organisations and alumni within Malawi and the Norwich-Dedza Partnership is concentrating on potential funders outside the country. We realise that we may have to access funds from a number of sources for a project of this size. At this stage, we are asking for a commitment and would not take the money until we have a total sum that will allow at least the first phase of the buildings to be constructed. If you know of any organisation that could help fund this project, please let us know using any of the contacts on this website.